With more than 450 million users worldwide, social platforms like LinkedIn (connect with us) when used properly can be the quickest and easiest way to fill your sales funnel with ideal prospect opportunities. The LinkedIn Digital Training Program has over 110+ easy to follow, step by step videos including 14 different LinkedIn tools all designed to help you to accomplish everything that you need to attract more prospects and convert more sales using LinkedIn. And all for the low investment of $650. The first step in the process is creating an unbeatable and fully optimized profile. This module is the required foundation for your success! How to get new customers to call you daily from your profile! How to create a great profile! Why 1st connections are so important! What to do with each of your old and NEW connections. How to get your profile ranking in the top 3 of your profession! Things to do and not to do on LinkedIn! The second step in the process is all about building a massive network of connections, building a group and learning the techniques that will take you to a whole new entire level! Quick and easy ways to follow-up with all of your new connections! Insider tricks to generating an endless supply of “Effective Posts” and content! Advanced search techniques to find targeted connections! How to generate leads using LinkedIn! Groups, a goldmine for leads, branding and new partners! Flicking on the switch to super group success! The third step in the process is all about putting your new network into action! Get leads, get sales, job interviews, you name it! 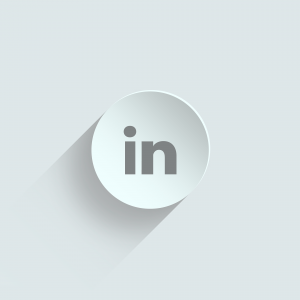 How to create a LinkedIn Pulse article and why it’s important that you do! Unlocking the secrets to content curation! How to drive traffic back to your video or website! How to get company views and followers! A secret way to send messages to 2nd connections! How to build your email list using LinkedIn! For a limited time: Purchase the LinkedIn Training Program before September 1, 2018, and receive Unlimited Lifetime LinkedIn Email Support. Group and corporate pricing available upon request. Still not sure? Your purchase includes a 30 Day No Questions Asked Money Back Guarantee! Are you ready to generate more opportunities?